Lather on your favourite moisture-rich cream before slipping on the Spa Moisture Socks overnight for smooth, soft skin. One size fits most. Machine wash in cold water, do not bleach, lay flat to dry, do not iron. 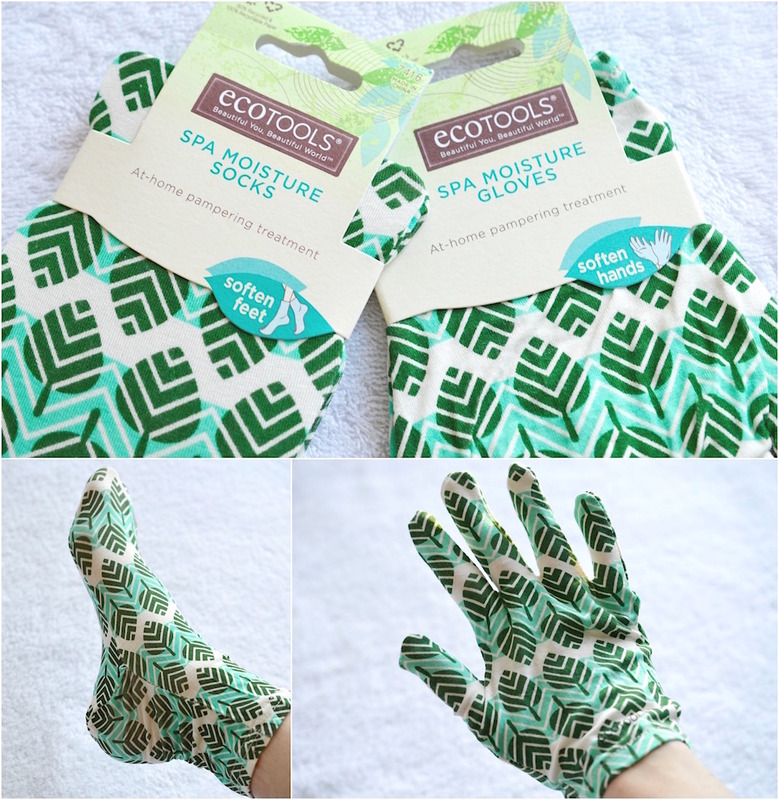 Use the Spa Moisture Gloves for an at-home pampering treatment. Smooth on your favourite hand cream prior to slipping these on to renew and soften your hands. One size fits most. Machine wash in cold water, do not bleach, lay flat to dry, do not iron. These socks and gloves provide an easy at-home pampering treatment to soften feet and hands while you sleep. I am obsessed with their snug fit and super lightweight feel. The socks especially feel invisible while I'm sleeping, which is way better than wearing a regular stretchy pair. You can even layer on some Vaseline or Aquaphor ointment, then slip into these socks and gloves before bed. The thin fabric will lock in thick moisturizer, while still letting your skin breathe. The results are out of this world. Look beautiful and live beautifully every day with the Bath & Shower Mitt. Use this mitt with a lathering body wash for an all-over clean! The ramie and rayon bamboo mitt is designed to conform to your hand to cleanse and refresh skin. Surprisingly enough, this simple mitt is my favourite out of the bunch. It is made out of ramie and rayon derived from bamboo - it is so gentle on the skin. Unlike the somewhat scratchy plastic texture of my regular exfoliating gloves from The Body Shop, this towel-like mitt buffs away dirt and dead skin without causing redness or irritation. I'm already thinking about buying 5 more. Look beautiful and live beautifully every day with the EcoPouf dual cleansing pad. The natural loofah side gently exfoliates to reveal fresh, radiant skin. The soft netting side creates a cleansing lather from head to toe. For best results, replace as needed. Rinse and hang to dry. 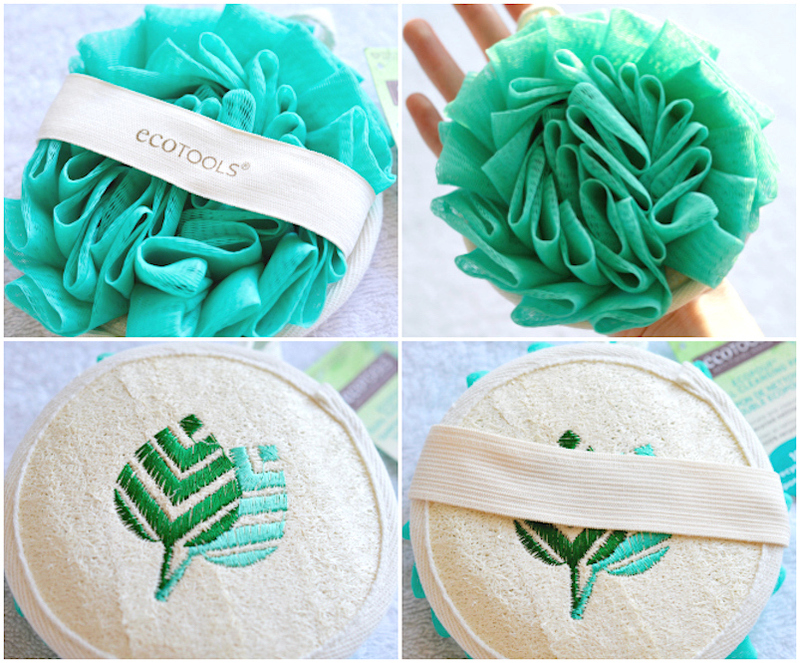 And finally, the double-sided loofah made from 100% recycled materials. Though I do prefer the mitt as it fits better on my hand, this reversible pad has that natural "luffa" fibre for mild exfoliation, and the fluffy plastic netting for sudsing up your body wash. It looks so pretty and has a wonderful little hook for easy drying. 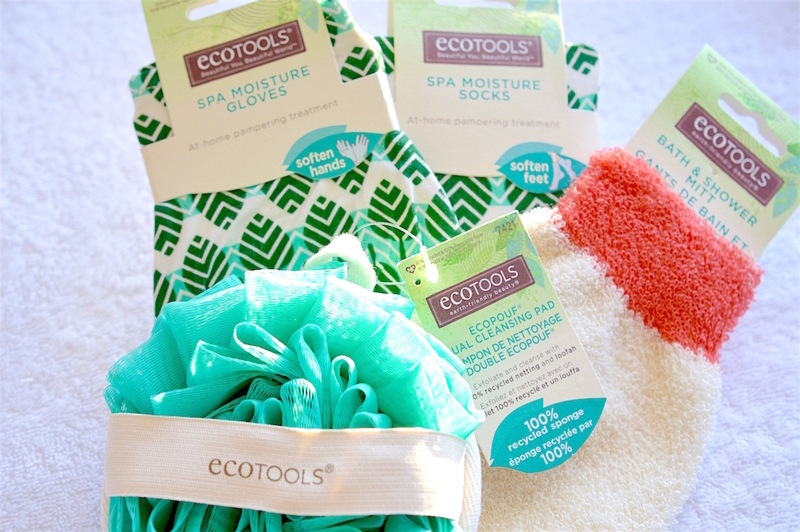 These EcoTools accessories are really impressive, and totally affordable. You can find them at Walmart, Rexall, Well.ca, farleyco.ca, Lawton Drugs, Uniprix, Sobeys, Pharmasave and Loblaws. Selection will vary. To see more of my favourite body care tricks and tools, click on my Spa Night Essentials or Shower Essentials posts. I used to recommend these socks to clients all the time when I worked at a spa. It's a perfect way for clients to take care of and soften their feet at home.